The mission of Sigma Alpha Epsilon is to promote the highest standards of friendship, scholarship, and service for our members based upon the ideals set forth by our Founders and as specifically enunciated in our creed. 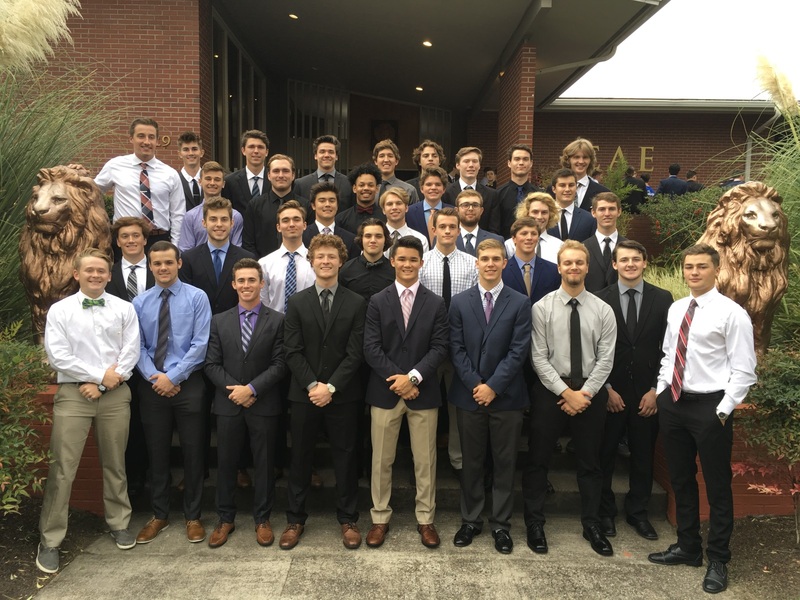 Sigma Alpha Epsilon has been an active, thriving chapter at Oregon State University for over 100 years. Our brothers take pride in the Gentlemen that surround them and the organization they represent. Oregon Alpha held it's Tug-of-War Philanthropy this past February 10th in Chintimini Park and met its goal of raising $10,000 with matching gifts for the Mario Pastega House. The True Gentleman is the man whose conduct proceeds from good will and an acute sense of propriety, and whose self control is equal to all emergencies; who does not make the poor make the poor man conscious of his poverty, the obscure man of his obscurity, or any man of his inferiority or deformity; who is himself humbled if necessity compels him to humble another; who does not flatter wealth, cringe before power, or boast of his own possessions or achievements; who speaks with frankness but always with sincerity and sympathy; whose deed follows his word; who things of the rights and feelings of others, rather than his own; and who appears well in any company, a man with whom honor is sacred and virtue safe.